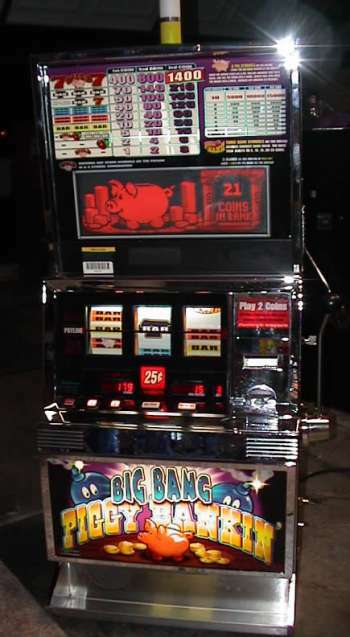 WMS Big Bang Piggy Banking Machine Fully Functional with Stand and currently set to accept tokens. Classic unit with awesome sound and graphics. Stand is the standard black type found in casinos. Also includes 1,000 tokens, manual, keys, and cartridge to swap out bill acceptor. Can deliver within New England for gas reimbursement or ship with freight carrier.